As your business grows up and expands, you will need the ability to access your quote software and/or quote data remotely. There are a number of approaches to extend your quote software system to get the remote access ability. Among them, running your quote software system in cloud is getting more and more popular over other approaches. Access and share your quote software and quote information anywhere as long as you have internet access. Simpler in implement of your quote software system without knowledge of complex technical details. More reliable and safe with your quote data than you implement by other approaches. No hardware and equipment investment and maintenance at all. Cheaper in overall ownership than you to implement by your own. 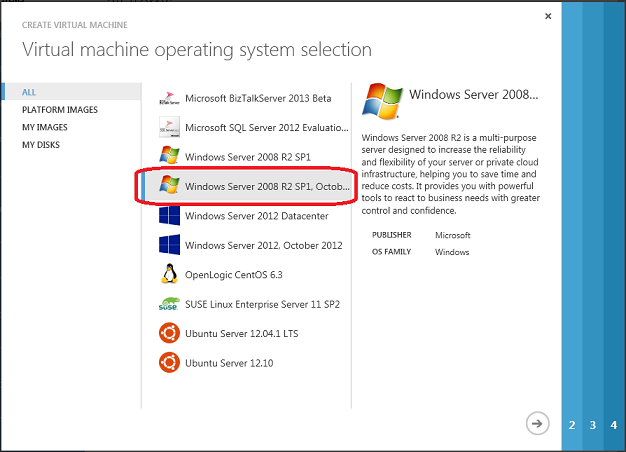 The basic idea to use QwikQuote in cloud is to setup a Virtual Machine of Windows platform computer in your Cloud such as Microsoft Azure. 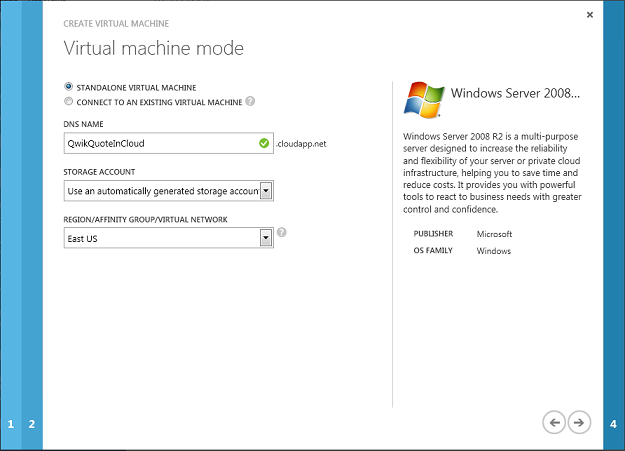 And then install and run QwikQuote by way of remote desktop to the Virtual Machine in the cloud hosted in Microsoft Azure. 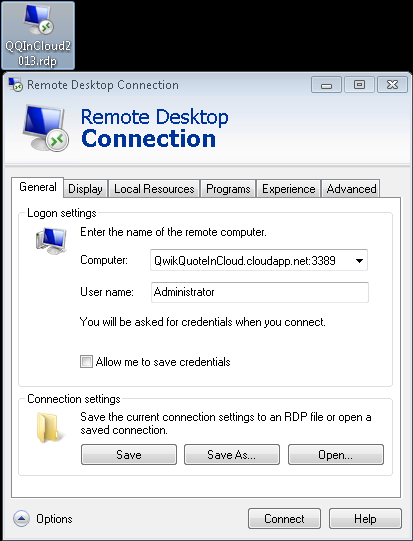 The Virtual Machine/Remote Desktop approach has more power and ability than standard web application running only within browsers. It runs faster so that you can have almost the same look and feel as you run your quote software at local PC. It and has less limitation than run your quote software only in browsers for you can access all resources of your Virtual Machine. It has better user experience because it has the same as you run QwikQuote local. and need time to slowly raise the productivity to normal status – this will significantly save your time and money investment. It is better to communicate and exchange quote information with other 3rd party applications such as Outlook, ACT! (Running your quote software only in web pages will have huge difficulty and complexity to link to other applications. - Download QwikQuote from QwikQuote web site and run it to setup and run QwikQuote with much the same experiences way as on your local PC. 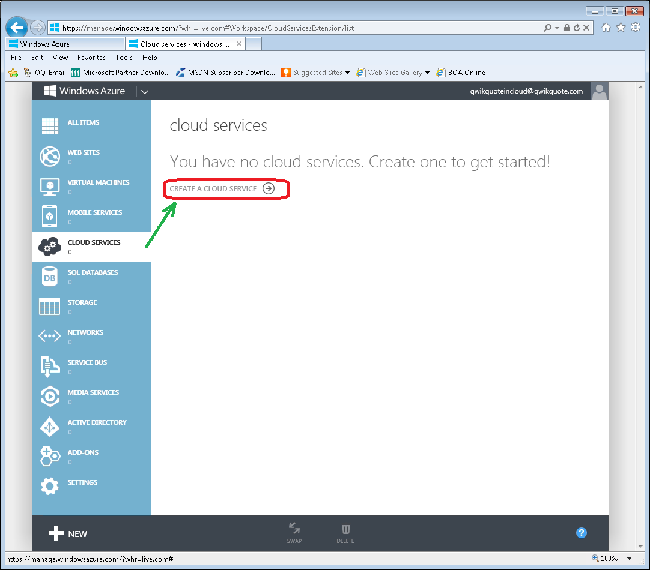 The following are outline or general steps to implement running QwikQuote quote software in cloud (Azure). 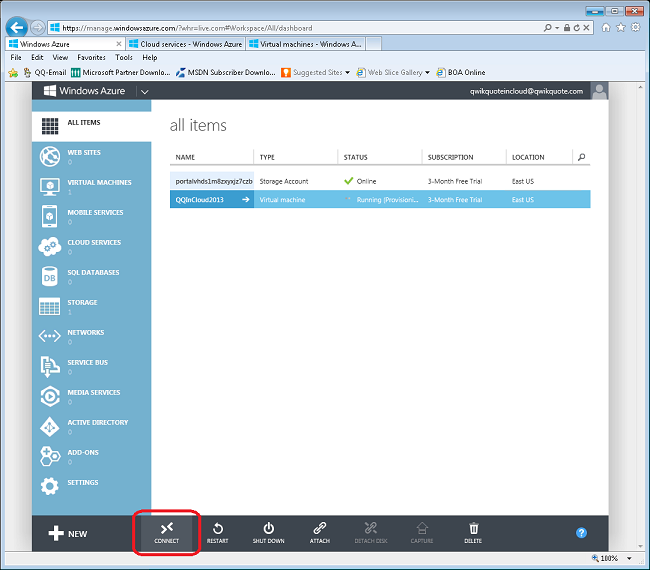 It is a good idea for you to try actually running QwikQuote in Cloud (Azure) with the minimum resources and hence the lowest price tag possible. This will help you understand and plan your business requirement in real production and the investment you need for you quote software system. or QwikQuote Sales sales@qwikquote.com for test QwikQuote running in Cloud (Azure) anywhere in the world. with minimum resources or worst case. This will ensure your actual quote software system in production will be better than what you know. 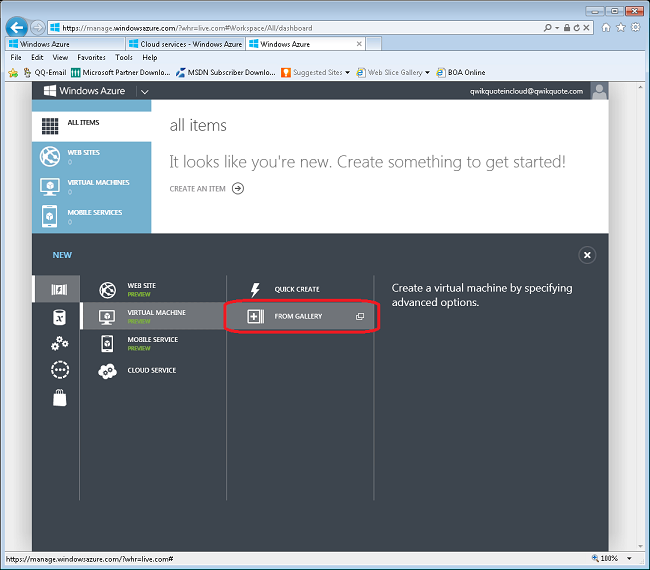 go to the following page and try to create your Microsoft Account. 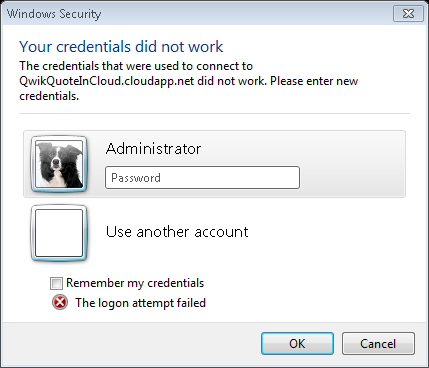 If you already have your Microsoft Account, skip this step. 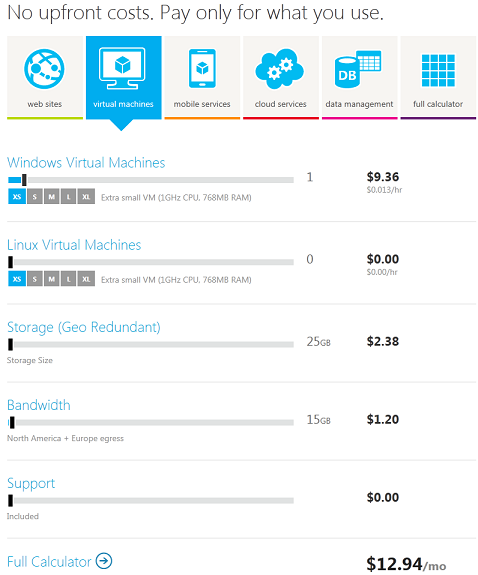 You can go the Azure Pricing page below to try and estimate your pricing running QwikQuote in Cloud. For QwikQuote only, $13.00 for 1 user per month is good enough as run QwikQuote on your local PC experiences. 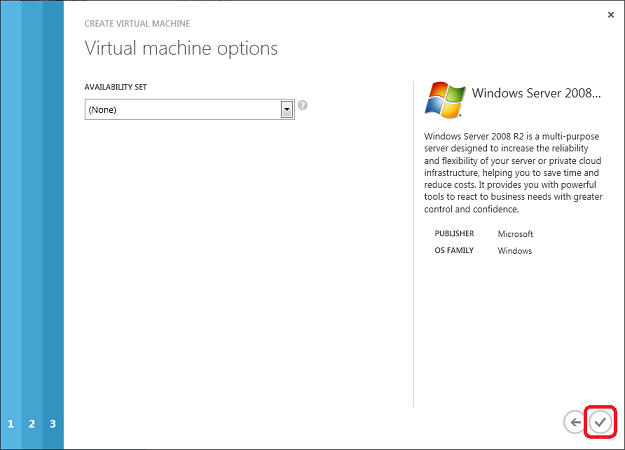 and then click the to create a new Cloud service of the type Virtual Machine. 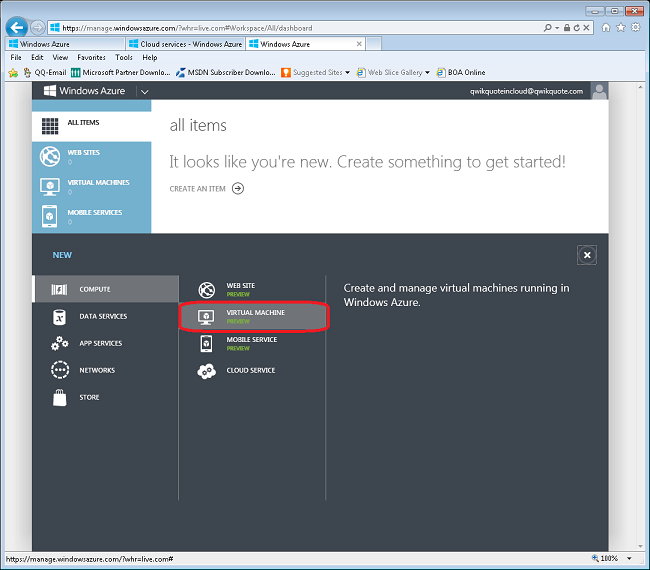 Click the hot spot to create and manage your virtual machine in Windows Azure. Try to choose to create a virtual machine From Gallery . 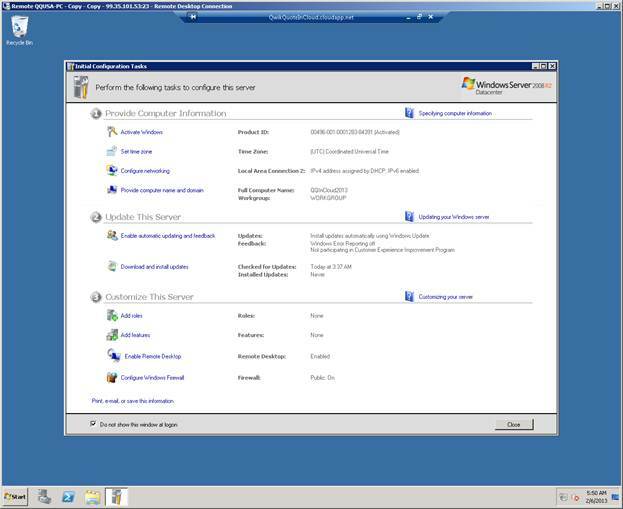 You can double-click the icon to connect to the Virtual Machine we just created. This is the same experiences as you do remote desktop to any computer. When asking your permission to connect, you should say yes by pressing the Connect button . 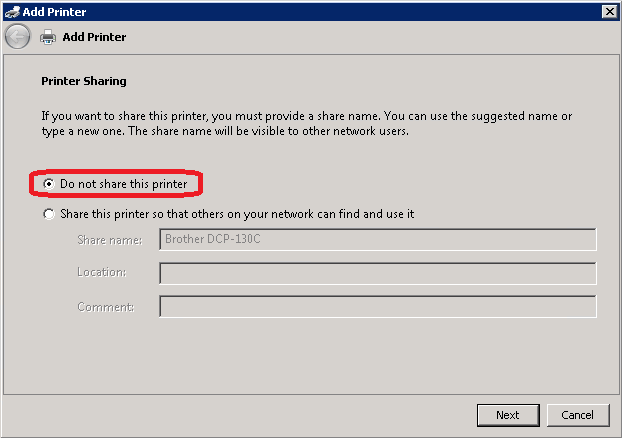 – Do not use copy-paste for it will not work in this login. When asking your permission to connect again, you should press Yes button . 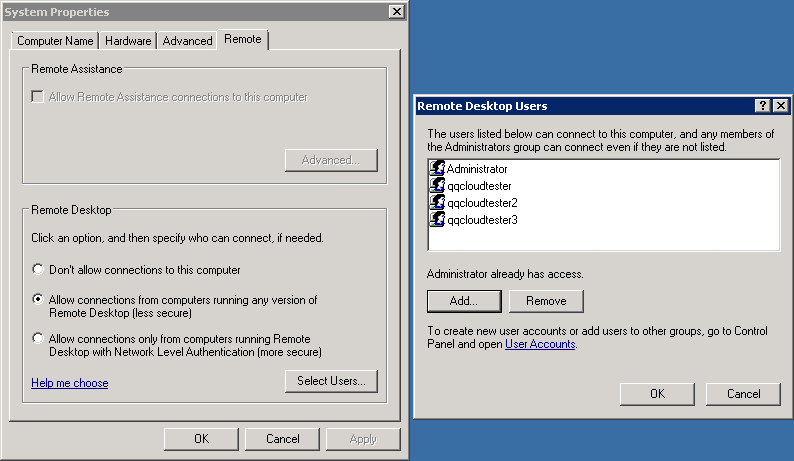 You can go to computer management to add some local users to the virtual machine. 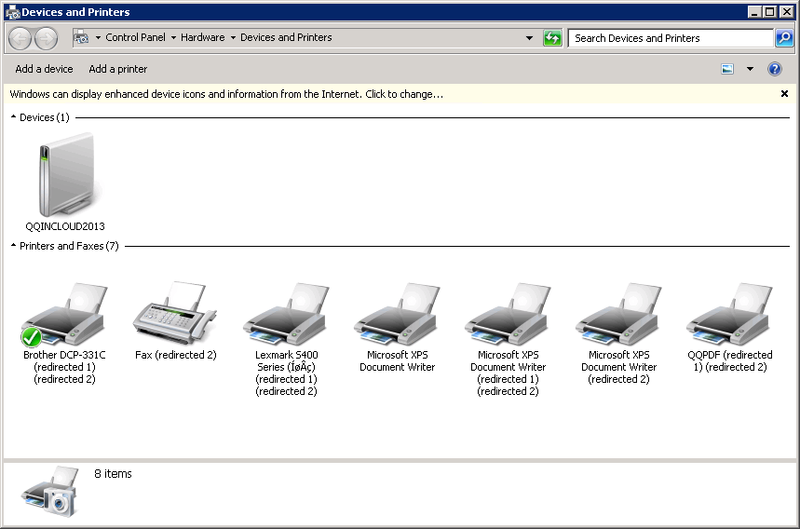 And set it to be as Windows Default system printer. Add QwikQuote web site to trusted sites list. 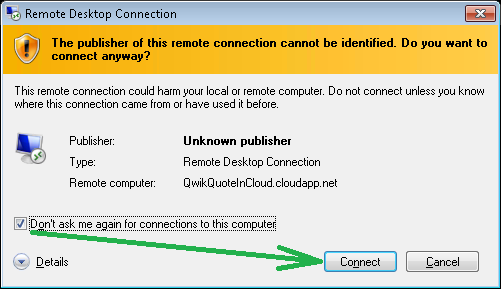 This will help you download QwikQuote installation file setup.exe from our web site smoothly. and run the downloaded setup.exe to install and run QwikQuote. This is almost the same way as you do on your local PC or office server in your quote software system. just shot us an email at support@qwikquote.com and we are here ready to help you out. 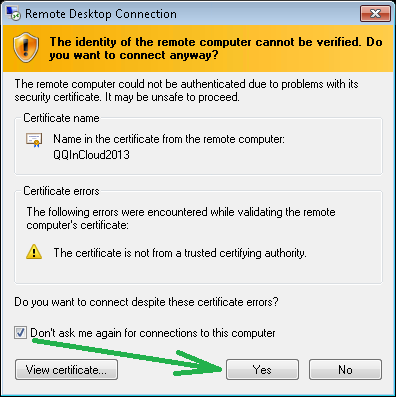 – such as VPN, remote desktop, Windows terminal server, Citrix App Server, etc. such as Outlook, ACT, QuickBooks, GoldMine, Maximizer, TeleMagic, etc. 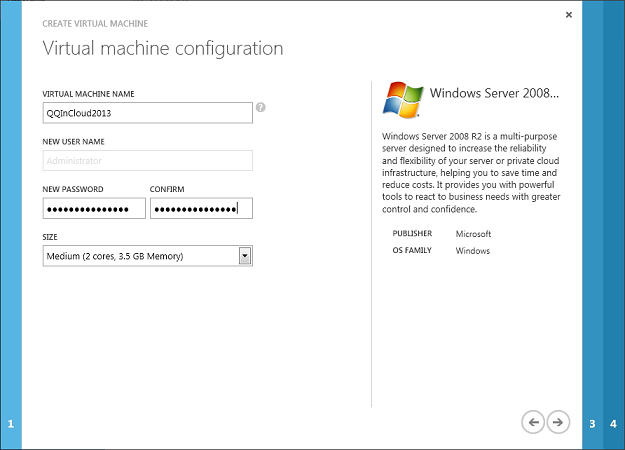 · Data exchange between your local computers and the virtual machine in the cloud. 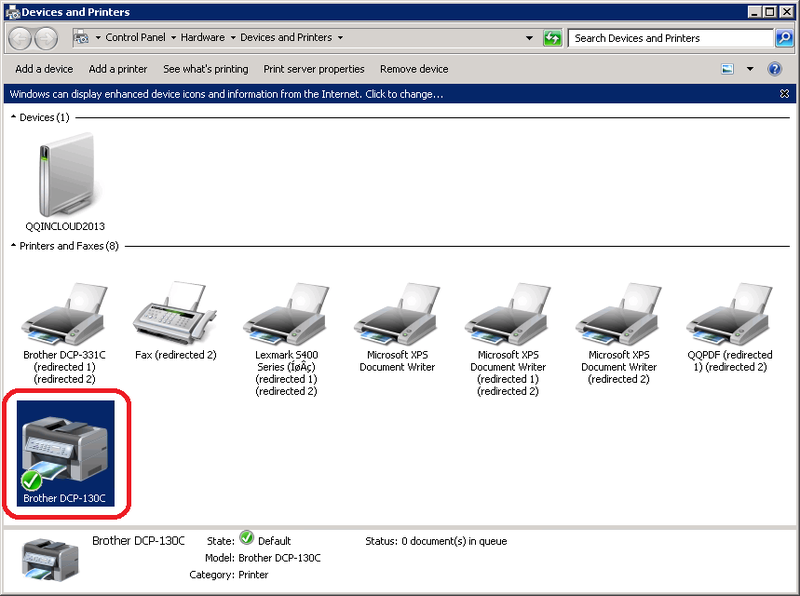 · How much control ability you want to have over your quotation software system. to get your remote access and share to your quote software and quote data in your quote software system. If you have any specific question or issue, you can contact QwikQuote tech support at support@qwikquote.com for help. We are happy to go through more details with you over the issue you concerned. Enjoy your QwikQuote – the simplest and powerful quote software in the market!